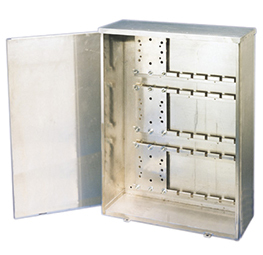 Designed for use as junction and wiring boxes in outdoor installations. 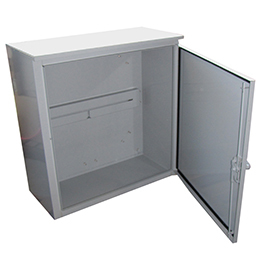 Protects enclosed equipment against rain, sleet and snow; these boxes can be used indoors for protection against dripping water. Additional sizes are available. Check with Brooks for model numbers. 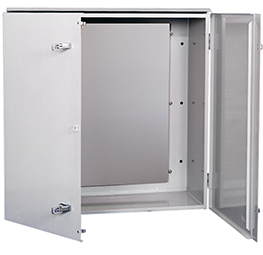 Designed as an economical enclosure for instrument transformers, wiring boxes and junction boxes. Protects against rain, sleet and snow in outdoor installations, or dripping water indoors. 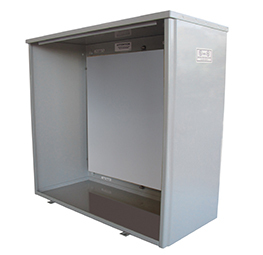 Designed for use as current transformer and/ or potential transformer enclosures. Provide protection against rain, sleet and snow. Pre-wired polyphase unit provides superior protection against vandalism – protection that is not possible with the typical meter socket. 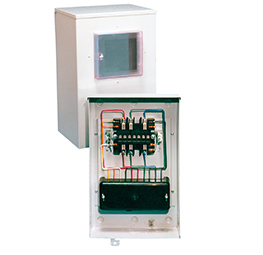 In addition, this model offers NEMA 3R protection to the meter, test switch and wiring. 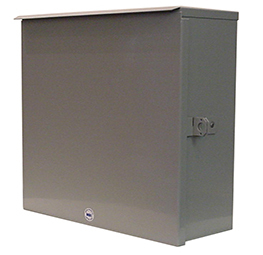 Designed for use as a current transformer and/ or potential transformer and enclosure. Protects against rain, sleet and snow in outdoor installations. Options: holes, hubs, cutouts, special sizes, knockouts, insulated wood backboard in place of transformer mounting plates and rails. Designed for use as wiring boxes and junction boxes. Provide protection in outdoor installations against rain, sleet and snow, or indoors against dripping water.